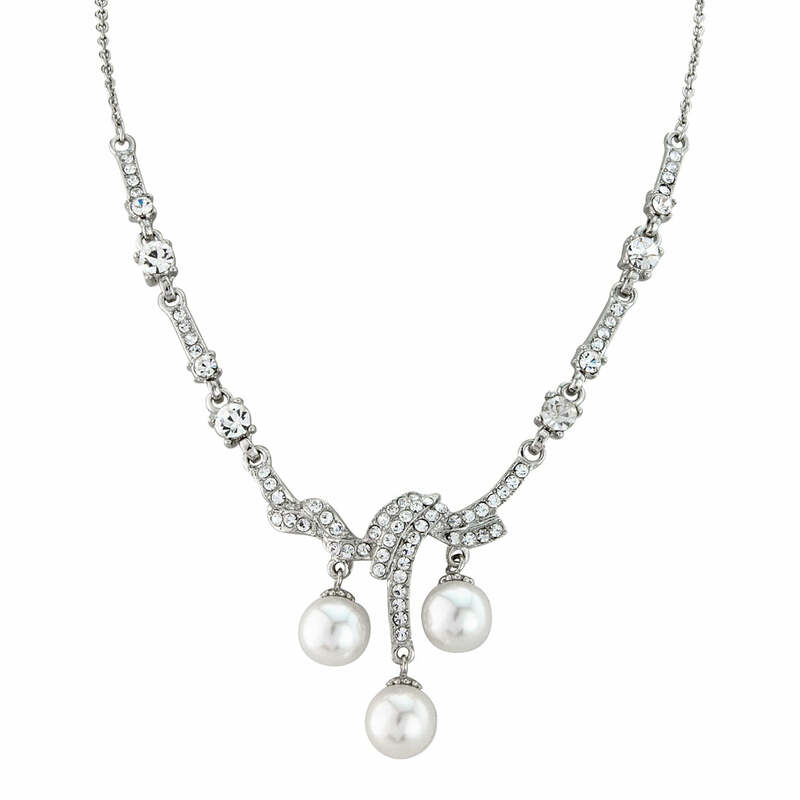 The epitome of understated glamour, Vintage Elegance jewellery set oozes Starlet style. Featuring a dainty drop necklace and coordinating earrings for day to night. Capturing the beauty of precious jewellery from the late 1940s Hollywood era our Vintage Elegance Jewellery Set is timelessly chic. 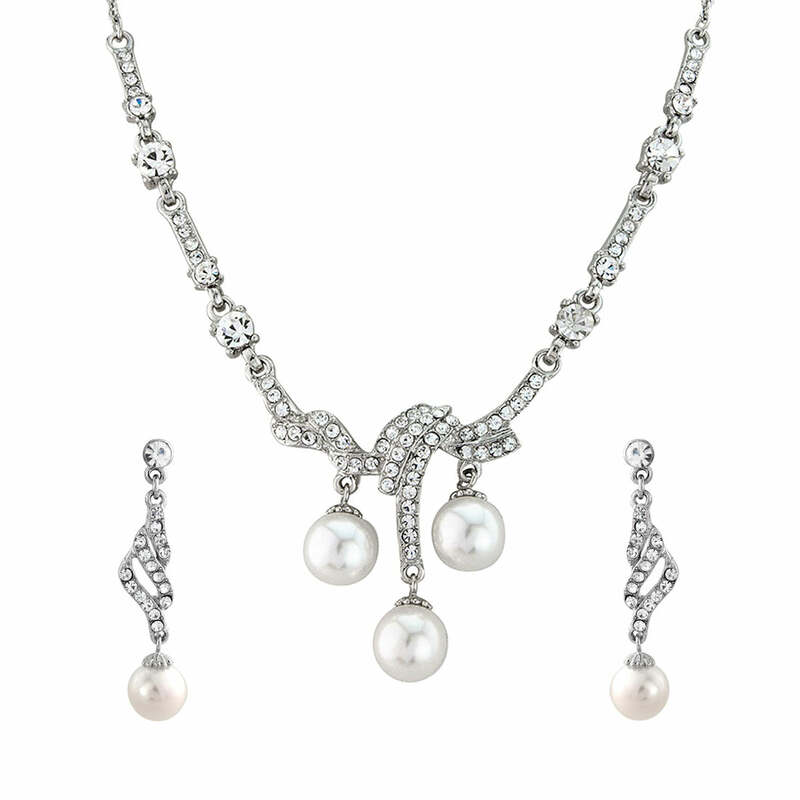 Featuring a dainty drop crystal and pearl necklace with matching earrings this divine set will take you from day to night. 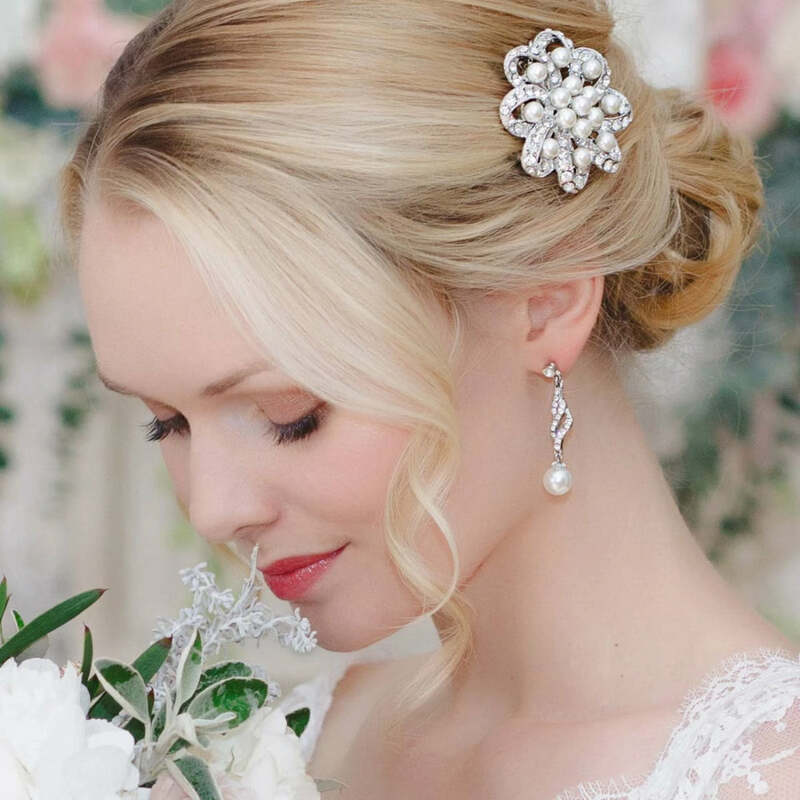 A sensational wedding jewellery set Vintage Elegance is the epitome of understated elegance. Fans of bygone eras will fall in love with the sheer beauty of this duo. Perfect for brides or her bridesmaids, the whole bridal party will adore the yester year charm. Wear our sparkling drop earrings alone for lunch with the girls or a city meeting or combine with our coordinating necklace for jaw dropping glamour at a glitzy black tie ball or prom.